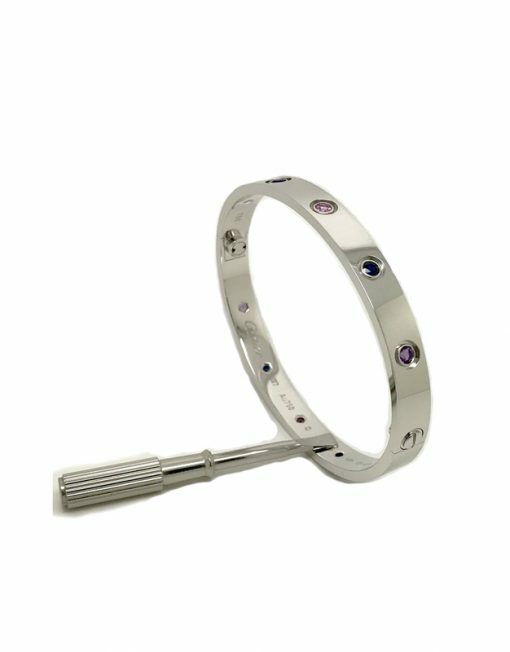 Description: This 18K white gold bracelet is set with 2 lavender spinels, 2 blue sapphires, 2 pink sapphires, 2 amethysts and 2 aquamarines. 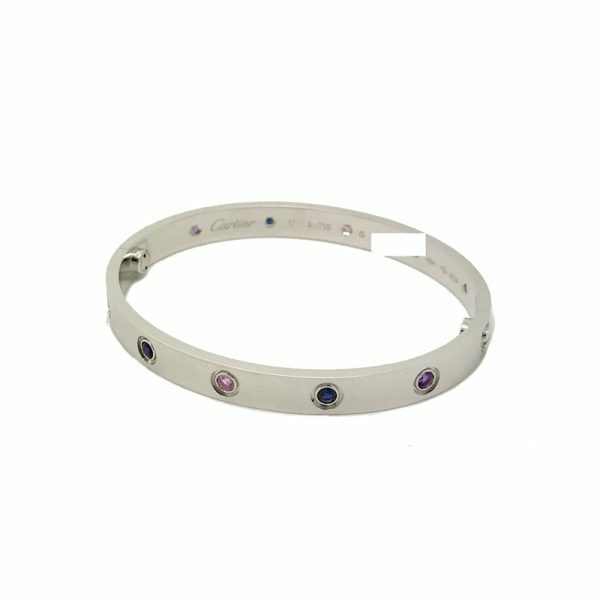 It is pre-owned and in excellent condition. 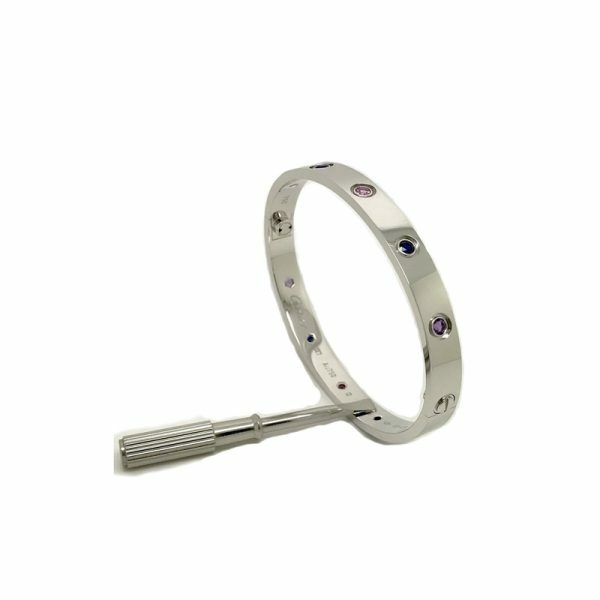 New style screw system. 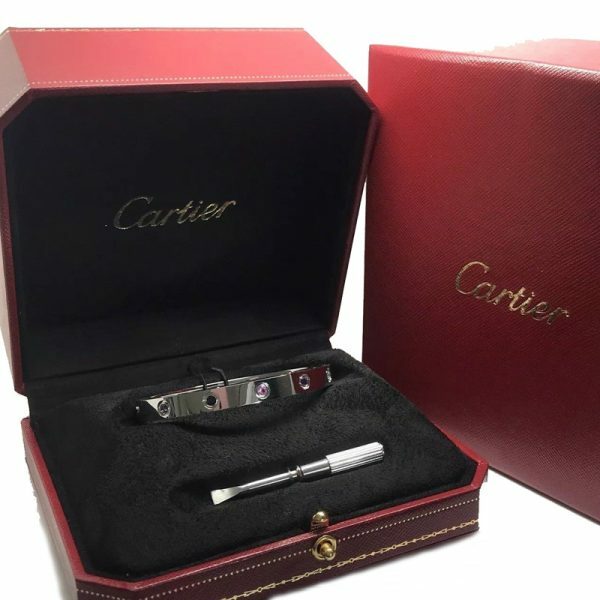 The bangle comes presented in a Cartier box with Screwdriver and original Cartier certificate of authenticity dated 2016.